Our Private Pre-K teachers recognize the need for Kindergarten readiness and create engaging lessons to work on important academic and social skills. Pre-K students go on monthly field trips that are included with tuition and are always fun and educational. They attend Spanish, Yoga and Art classes once a week by visiting teachers. Lessons are created along with weekly themes and incorporate a variety of concepts. 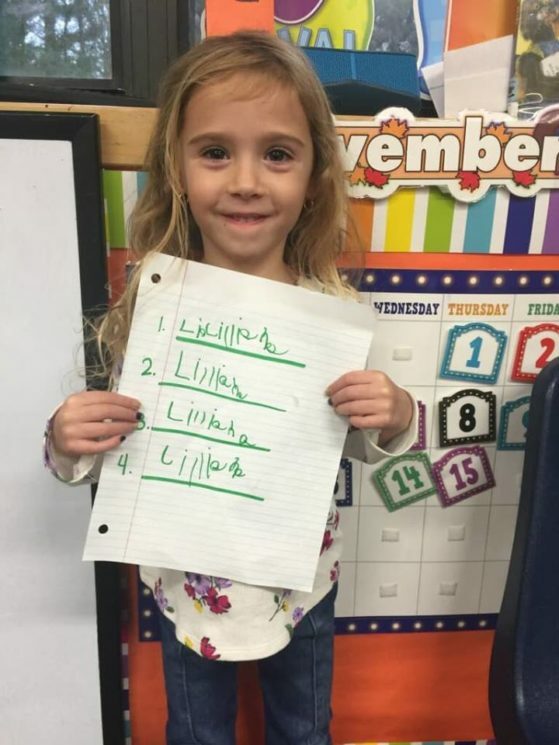 In literacy, students work on valuable skills like handwriting, phonological awareness, letter recognition and early reading. Math skills like number recognition, adding,subtracting, identifying quantities and shapes are an important focus in this program. Accelerated Pre-K is particularly known for conducting fun science experiments and STEM activities, designed to encourage problem solving skills and teamwork. This Pre-K program always has a low teacher to student ratio, ensuring children are given more individualized attention and instruction.